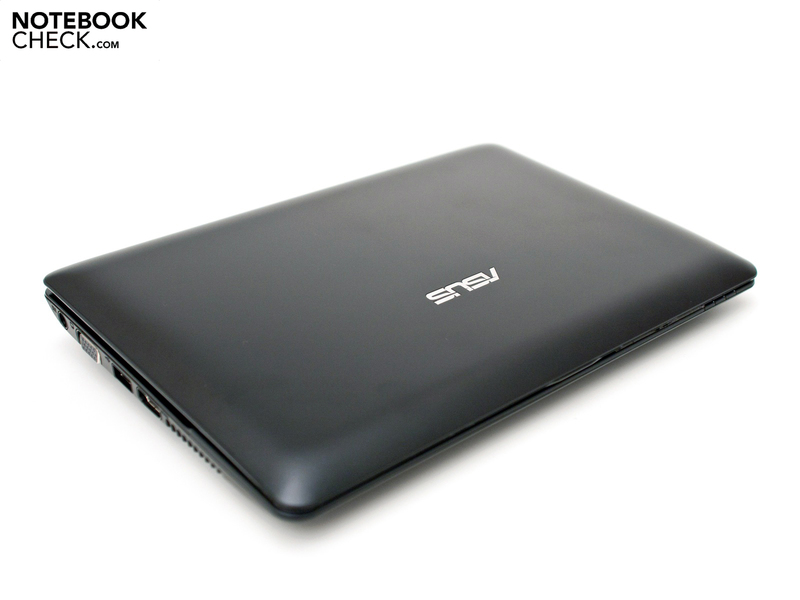 We've tested the new Asus Eee PC 1015PN with Nvicia ION 2 graphics. 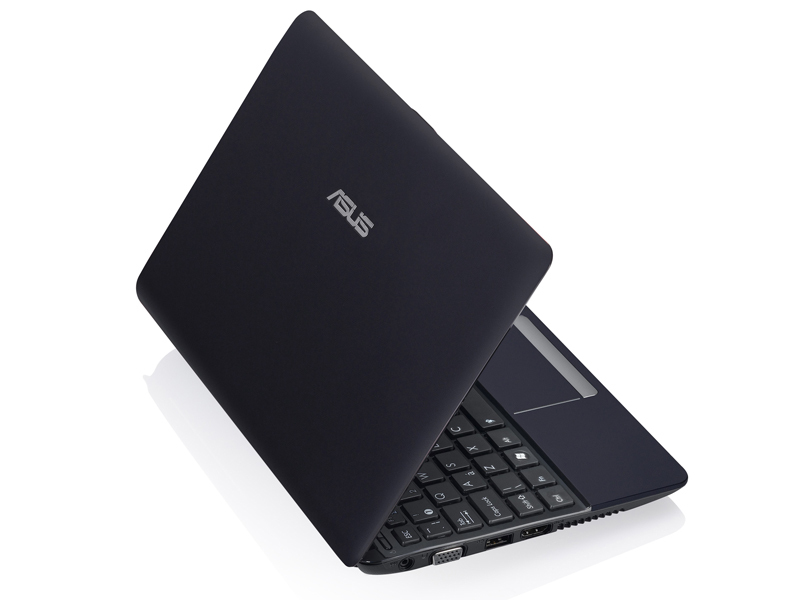 The Asus Eee PC 1015PN, as the fourth device of this series, has found its way to us. This new model is still based on the previously reviewed models, whereby the innards have been extremely modified. 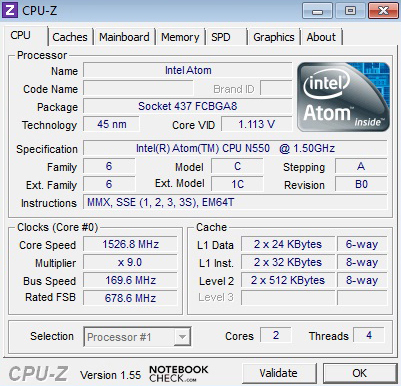 The new Intel Atom N550 dual core processor (2x1.5 GHz) and a dedicated Nvidia ION 2 graphics unit are found there. This basis allows rendering HD videos and playing 3D games ex-factory. Asus fortunately sticks to its course in terms of screen and still relies on a matt 10.1 inch display (1024x600 pixels). The Eee PC 1015PN's other hardware configuration is divided in two different models. The weaker model (model suffix: S) is equipped with a 1 GB DDR3 RAM, the smaller 6 cell battery with 4400 mAh and Windows 7 Starter (32bit). The stronger model (model suffix: M) has a 2 GB DDR3 RAM, the smaller 6 cell battery with 5200 mAh and Windows 7 Home Premium (32bit) ex-factory. Another advantage of this configuration is the automatic graphics switching, Nvidia Optimus, which the smaller model doesn't have. 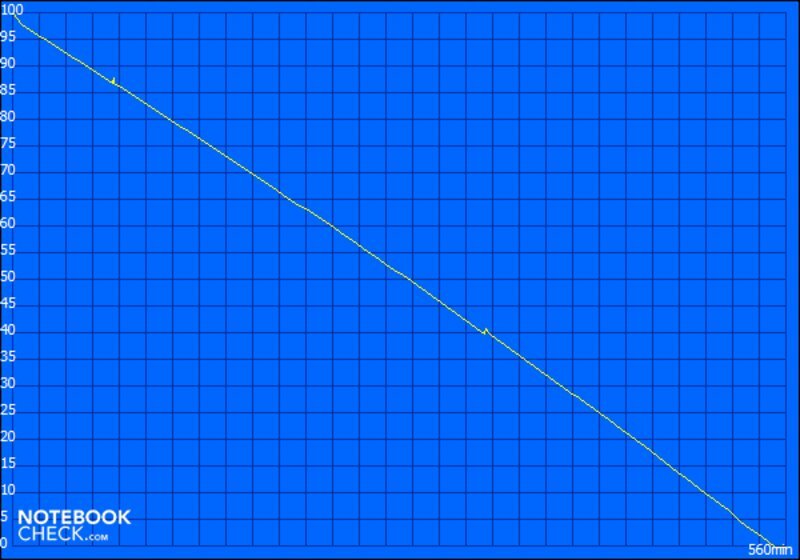 The graphics switching is controlled manually via a small program there. The hard disk memory of 250 GB complies with today's standards. We have deliberately omitted the analysis of the case and input devices in this review, since we have already dealt with these extensively. You can find further details about these topics in the reviews of Asus Eee PC 1015P, Asus Eee PC 1015PEM or Asus Eee PC 1015T with AMD hardware. The variety of colors has been reduced to three alternatives for this device. Black (matt), red (matt) and white with a glossy case finish. The Asus Eee PC 1015PN is now available at Germany and Austria. The recommended retail price is 379 euro, respectively 449 euro including added value tax for the stronger Optimum model. The interface expanse has been modified a bit for the new model and a HDMI out (version: HDMI 1.3) is now installed. It's found along with a USB 2.0 port, the analog video out (VGA), power socket and vent on the case's left. The HDMI interface, however, only works in connection with the integrated "Nvidia Next Generation ION" (ION 2) graphics unit. 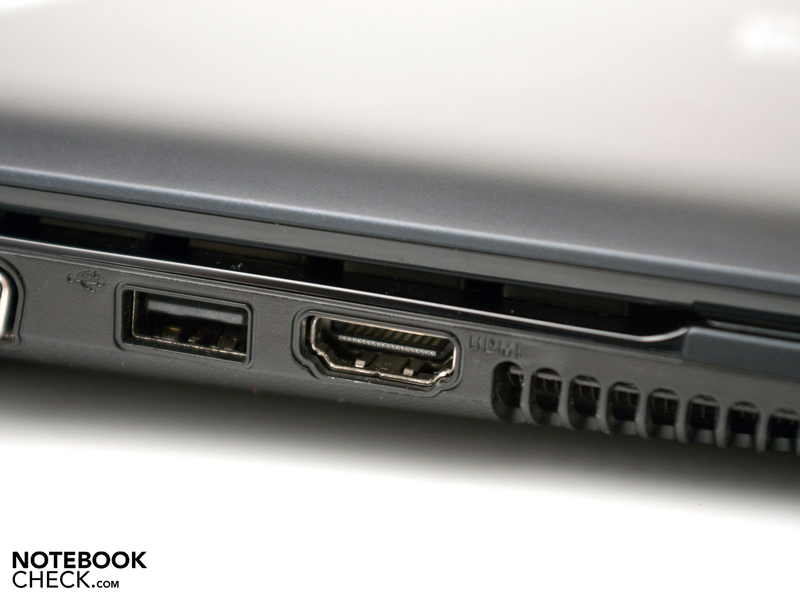 The port loses its functionality when the Intel GMA 3150 is enabled. It's put in standby because the Intel Pine Trail platform doesn't support this interface. On the right, the usual 3-in-1 cardreader (SD, SDHC, MMC), the audio sockets, two further USB 2.0 ports, the Kensington Lock as anti-theft protection and the RJ-45 network socket are found. The front and rear are still free of connections. Merely the status LEDs, respectively the 6 cell battery with 47 watt hours are found here. Asus has done a good job with interface distribution, despite an additional port. The room between the ports is sufficient. The HDMI out is pleasing, whereas you have to consider that this interface is only addressed with the stronger gaphics unit. Unfortunately, you'll have to live without the newest USB 3.0 port in this device. 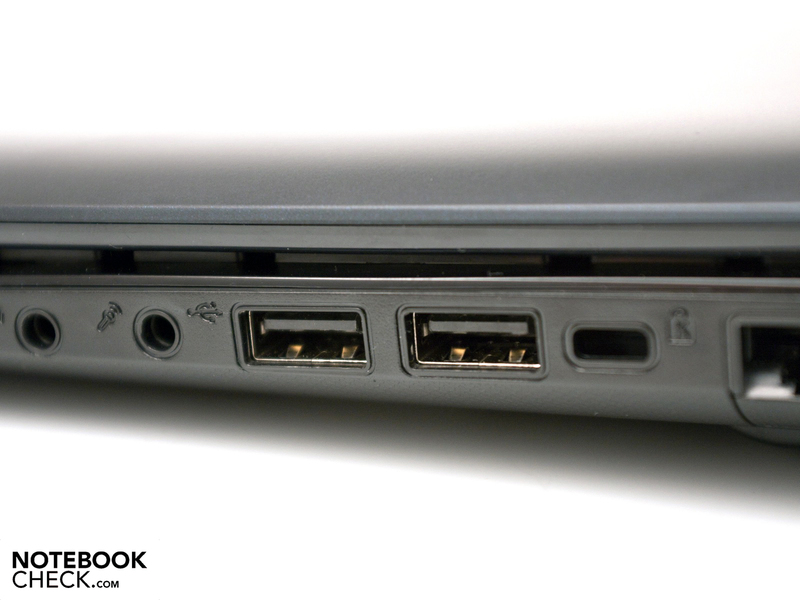 Basically, the circumference correlates to the extended netbook standards, whereby a USB 3.0 would have been desirable. The communication options are as extensive as usual. The installed RJ-45 network socket supports the latest gigabit standard due to Atheros AR8132. 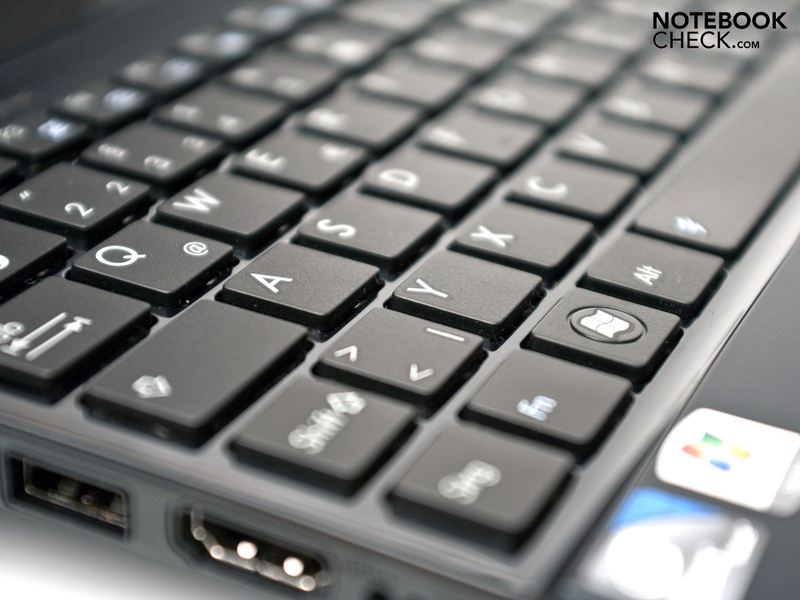 The netbook also has WLAN standard 802.11n via a controller from Broadcom and fast Bluetooth 3.0 +HS. A model with integrated UMTS hasn't yet been announced, but the dummy slot is prepared by the uniform case. The scope of delivery sufficies for an immediate use. However, extras aren't available at an entry price of 379 euro (RRP). The matching adapter, the smaller 6 cell battery (47 watt hours), a warranty card and a user's manual are found beside the case. 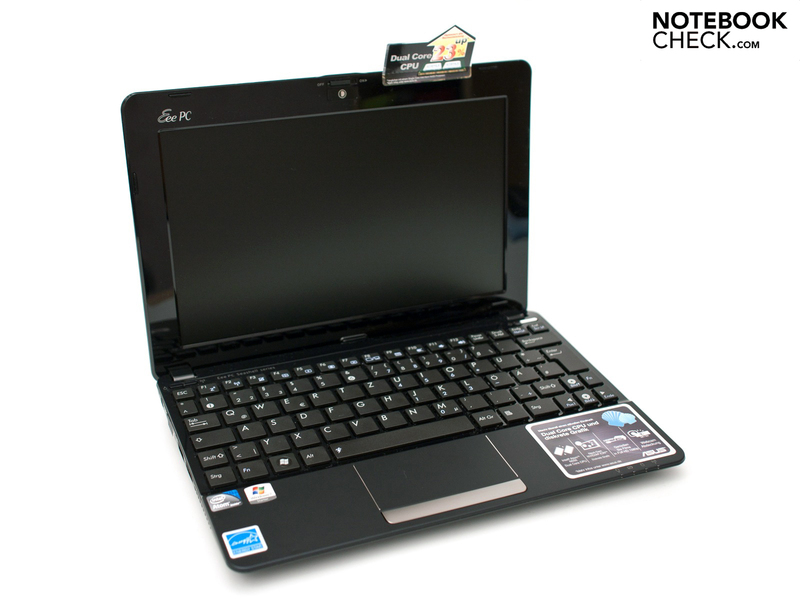 The Asus Eee PC 1015PN is delivered with a two year warranty ex-factory. This includes a pickup & return service. Asus takes over the costs for shipping in a warranty case, or you bring the device to the next DHL agency free of charge. Service processing runs over Asus' own support site. Generally a good offer, whereby the battery is only insured for 12 months. 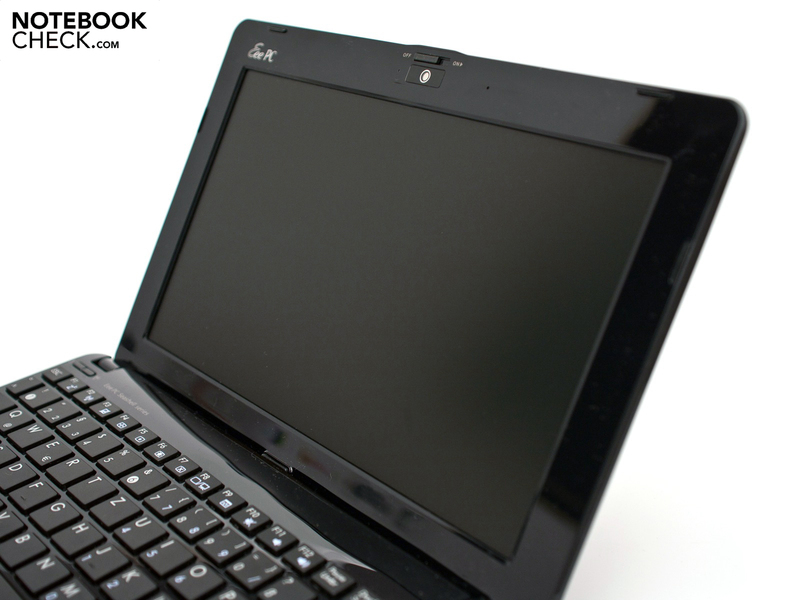 The Asus Eee PC 1018PN is delivered with a matt 10.1 inch display. The screen has a native resolution of 1024x600 pixels in a 16:9 format. Interpolated (higer) resolutions of 1024x768 pixels can also be selected. When you work with the integrated Intel GMA 3150, you have the same resolutions and an additional resolution level (interpolated) of 1152x864 pixels available. The display has an LED backlight that grants an even and at the same time bright illumination. The maximum brightness of 287 cd/m2 is in the top third field of netbooks and convinces immediately. The average brightness (278.4 cd/m2) and the fine brightness gradations can score just as well. 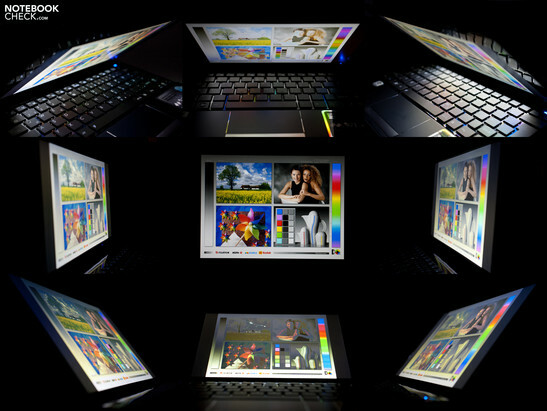 The maximum brightness decreases when the device is used with the integrated Intel GMA 3150 graphics. 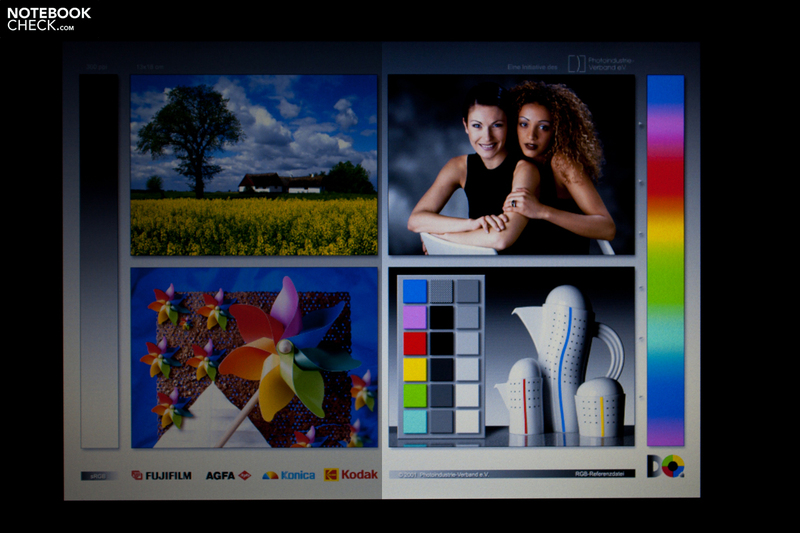 The display's luminosty is reduced and doesn't correspont to the use with the stronger graphics unit. We will provide the exact assessmentw within the next few days as a chart. Even an uncomplicated outdoor use was possible subjectively. The contrast of 957:1 can be rated as "very good". This is mainly due to a low black value of 0.3 cd/m2, which also allows a good black reproduction. Nevertheless, a slight gray cast remains subjectively. The illumination of the entire surface is in an excellent field with 94 percent. Visible fluctuations couldn't be observed. The glossy display frame looks chic, but its reflections are disturbing in outdoor use. 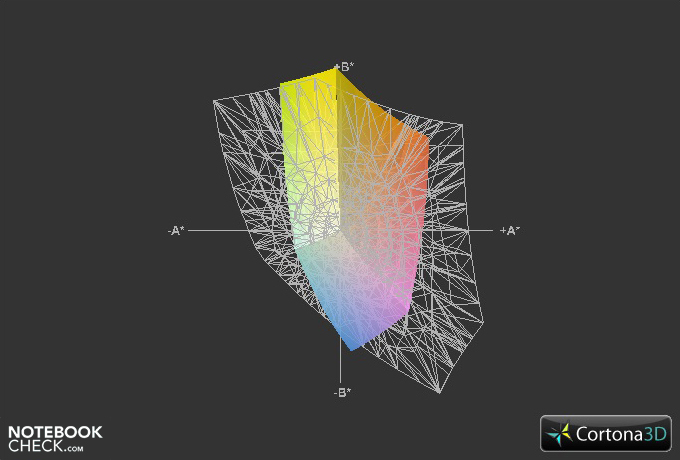 The representable color spectrum (colored in the graphics) can be classified with the tool, X-Rite i1Display 2 (hardware + software). Overall, it's an average screen that is sufficient for everyday use. This device isn't suitable for professional use. 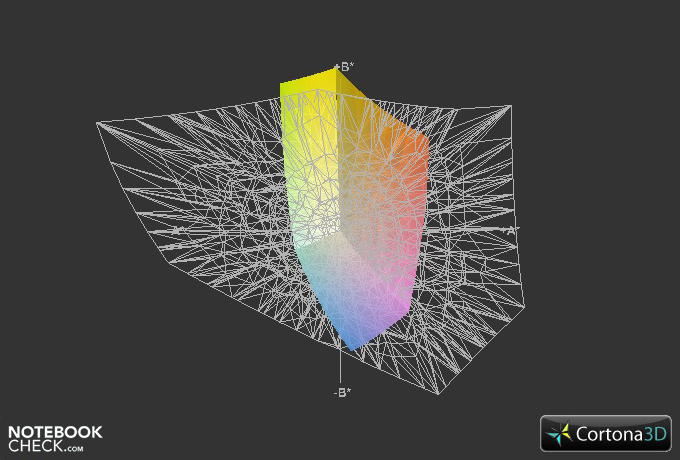 A color spectrum of at least, or close to the sRGB color space should be reproduced for this application field. Outdoor use is convincing because of the good rates. 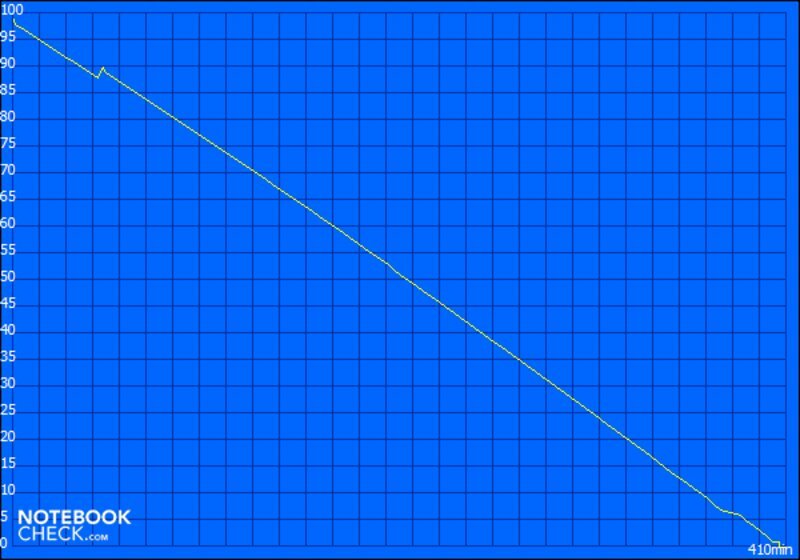 Both direct and indirect sun, respectively light incidence aren't a problem. The content is very legible, whereas the colors bleach noticeably and color intensity vanishes. Overall, a good display for outdoor use. The viewing angle stability is within the usual field. The horizontal representation is impressive and the content is legible even in narrow angles. Color deviations or image inversions aren't noticed in this field. The vertical angles aren't as impressive. The content becomes illegible quite fast. Moreover, the colors drift into the warm color nuances and the image inverts. It looks like a negative. 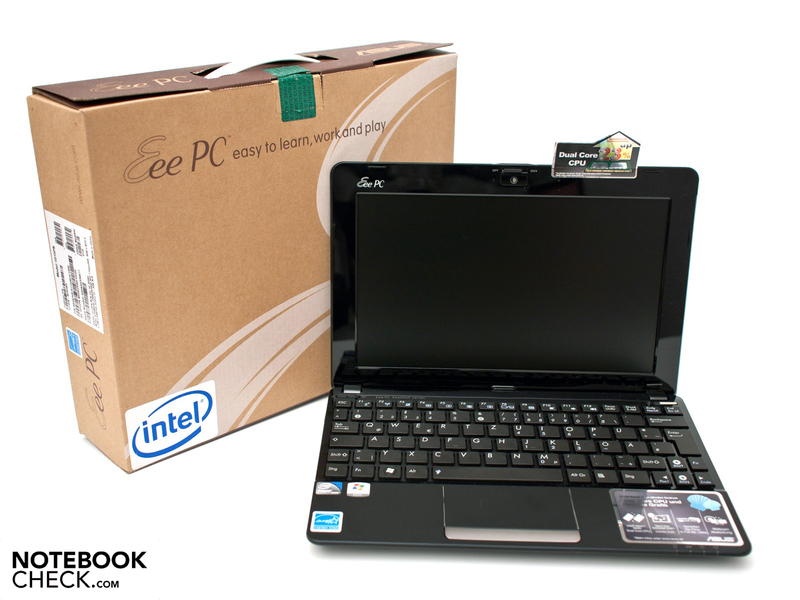 The Asus Eee PC 1015PN is the newest top model of the Eee Family with the latest components. 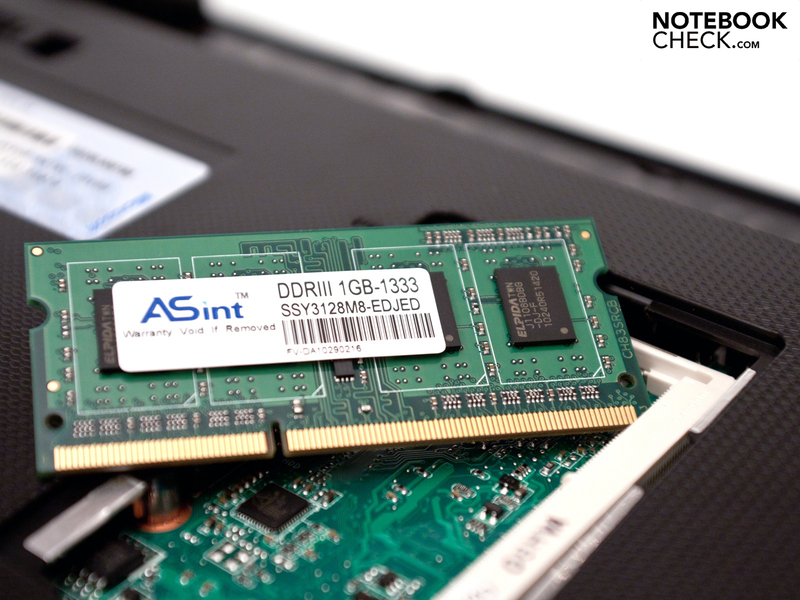 An Intel Atom N550 dual core processor with 1.5 GHz in two cores (4 threads, 1 MB L2 cache) is the heart. This CPU is still based on Intel's Pine Trail platform and is therefore slightly retarded. 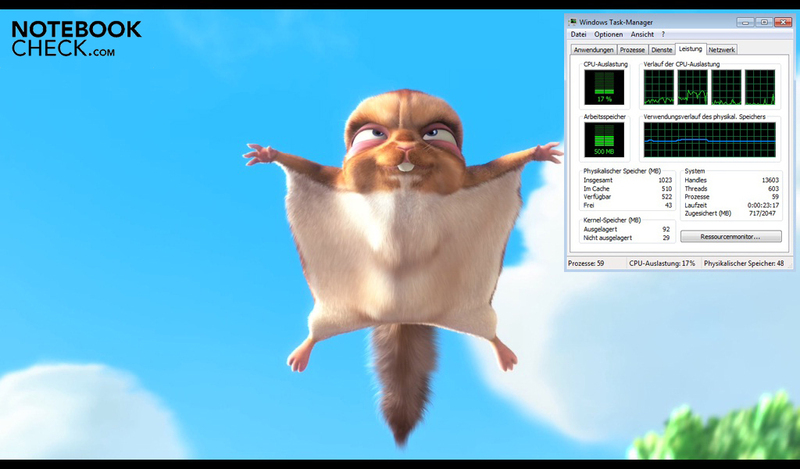 An example is the lacking connection for a HDMI port that this device addresses via the dedicated Nvidia graphics unit. Naturally, the Asus' developed "Super Hybrid Engine" (software) is preinstalled. This application can't create a performance boost, but the energy savings characteristics have proved to be efficient. There are two graphics units in this netbbook beside the processor. First, the processor graphics, Intel GMA 3150, with a weak core rate of 200 MHz and second, the dedicated "Nvidia Next Generation ION" graphics. The latter is also known as Nvidia ION 2. Our test device is equipped with the smaller Nvida alternative. It has eight pipelines and a core rate of 405 MHz. The device is delivered with the driver version 8.17.12.5912 (Nvidia Verde 260.99) ex-factory. A drawback of the inexpensive "1015PN-......S" is the leaner Microsoft Windows 7 Starter (32bit). It lacks the support for two graphics drivers and graphics switching can only be executed manually via "Asus GraphicsSwitch". It also makes rebooting necessary. In return, the stronger model 1015PN-......M) is supplied with Microsoft Windows 7 Home Premium (32bit) and accordingly with Nvidia's automatic graphics switching, Nvidia Optimus. A 250 GB hard disk memory from Western Digital and a 1 GB DDR3-10600S RAM (1066) also belong to the 1015PN-BLK046S's equipment. The extendability is limited by the uniform case. Merely the RAM can be upgraded to a maximum of 2 GBs (1 base). The hard disk, as well as the other components are cleverly hidden and opening the case is complicated, if not impossible. You should consider the warranty claims here. 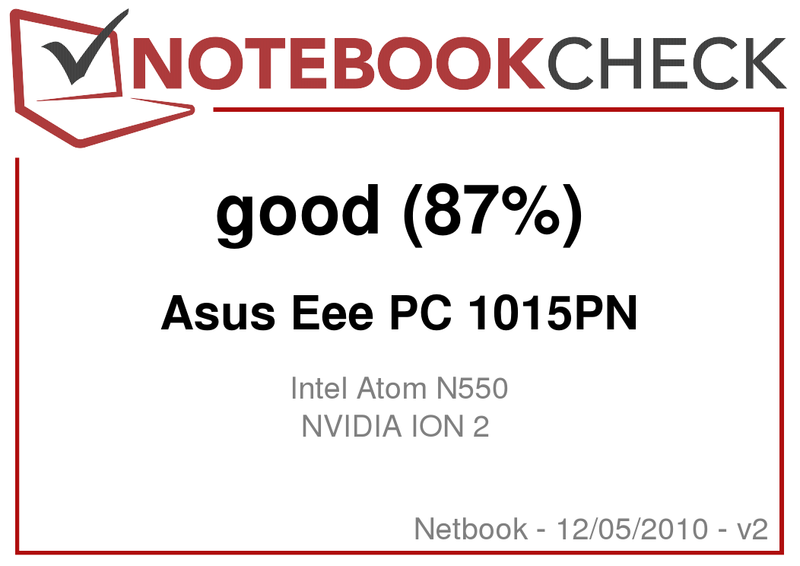 In order to compare the Asus Eee 1015PN's performance, we sent the netbook over our test course. 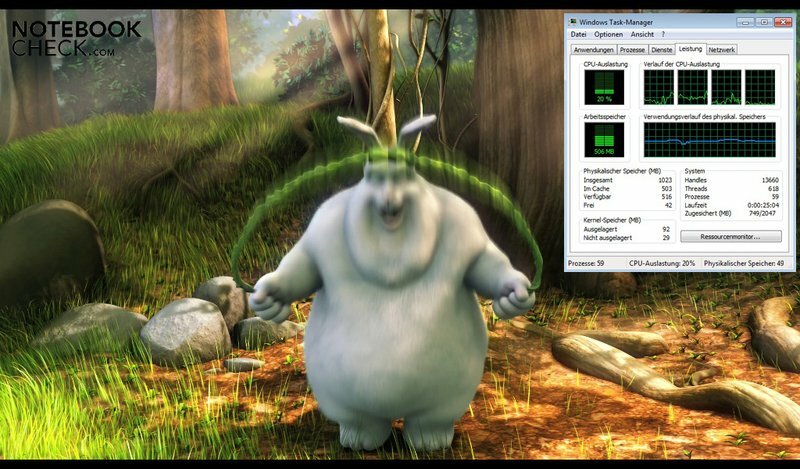 For this, Nvidia's graphics unit, Windows 7's high performance profile and the "Super Performance Mode" were enables. We didn't notice an increase in the processor's clock rate. The application performance is convincing. Both Cinebench's and PCMark's rates stand out considerably from the weaker Asus Eee PC 1015PEM. The device achieves 1016 points in Cinebench R10's "OpenGL" benchmark and thus is on par with full-fledged devices. Among others, Acer's Aspire 1830T or Lenovo's ThinkPad SL300, for example. 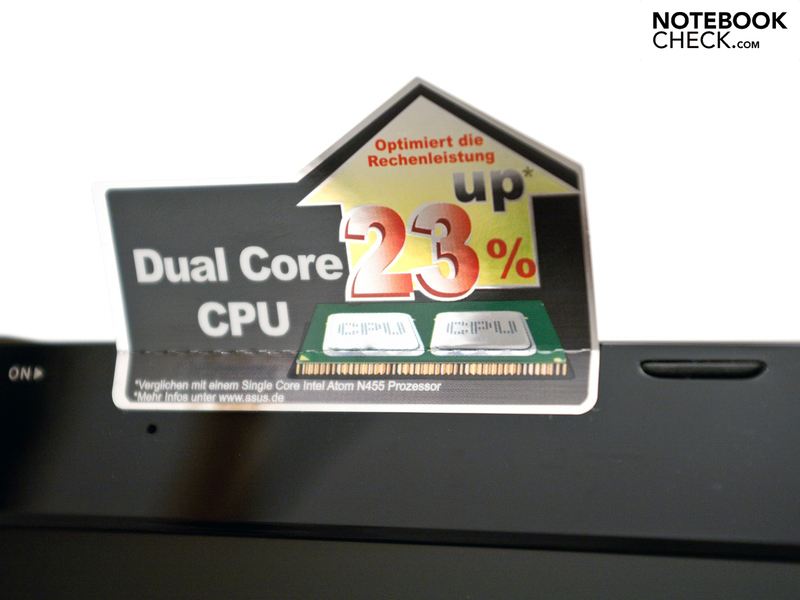 The Intel Atom N550 can only show its advantages in multi-core rendering and reaches 1505 points. 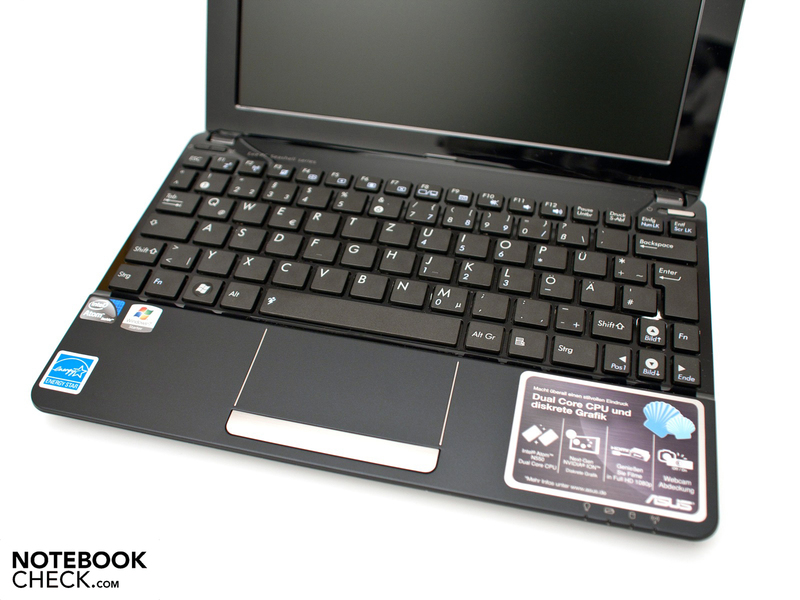 PCMark from Futuremark also certifies good rates for a netbook. The subjective impression convinces with a faster window set up and shorter booting times. 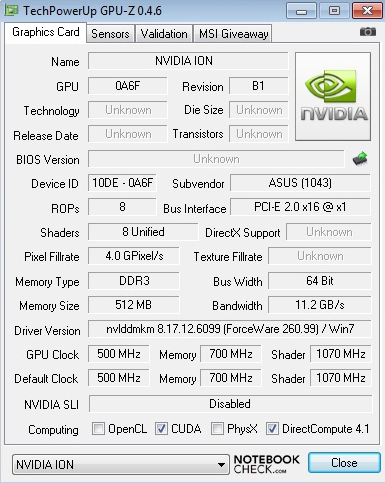 The Nvidia ION 2 graphics unit's 3D performance is more than sufficient for a netbook. The core rate of the small alternative is 405 MHz. The 1015PN achieves a good 1155 points in 3DMark06 from Futuremark. The HP EliteBook 2540p with an Intel GMA HD and the new Lenovo ThinkPad Edge 11 with an Intel Core i3-380UM and GMA HD graphics is in the immediate performance vicinity. Overall a good performance that can distinguish itself from the broad mass of netbooks with processor graphics. Asus relies on a Western Digital Scorpio Blue (model: WD2500BEVT-80A23T0) with a gross capacity of 250 GB for the data memory. A well-known and, in terms of performance, average hard disk with a maximum of 5400 revolutions per minute. 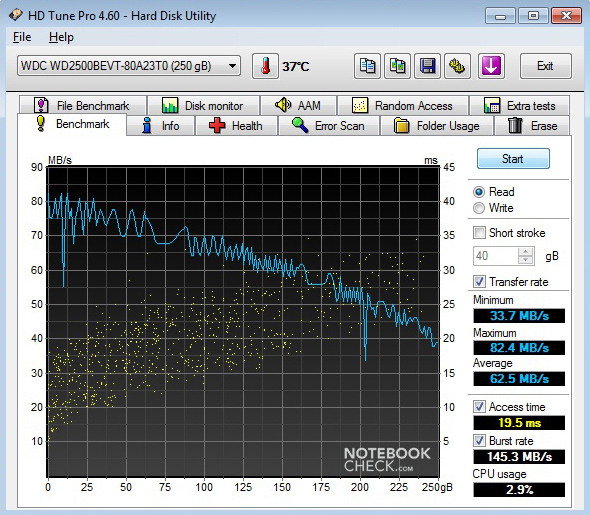 HD Tune Pro 4.6 determined a maximum transfer rate of 82.4 MB per second. 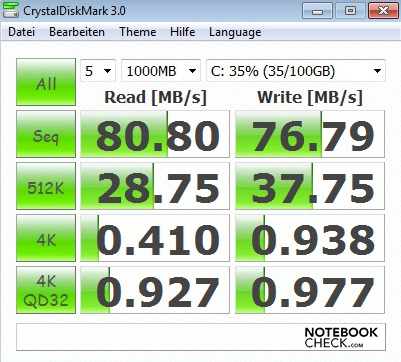 This result is supported by CrystalDiskMark 3.0 (80.8 MB per second). A faster drive isn't needed in routine use. However, a solid state drive (SSD) makes a considerable velocity increase possible with shorter access rates. The latencies have to be rated negatively under Windows 7 Starter (32bit). 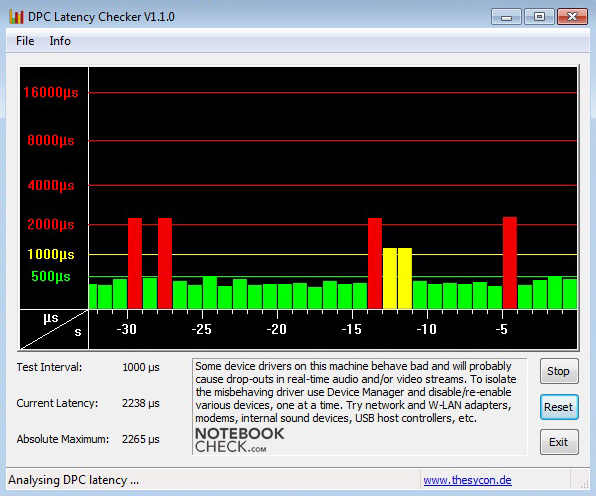 We checked these with the "DPC Latency Checker" tool. We noticed spikes in the red (negative) field regularly after a short time. With rate beyond 1000µs there will likely be problems with peripherals. A known and very frequent problem is sound crackling with external sound cards. 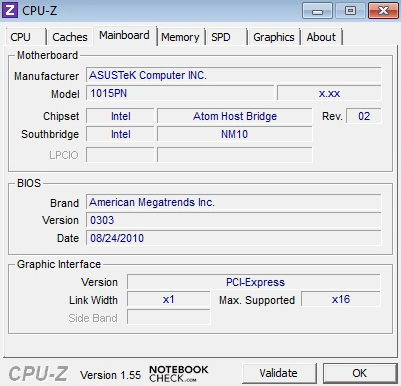 The Asus Eee PC 1015PN is predestined for HD material due to its strong hardware. 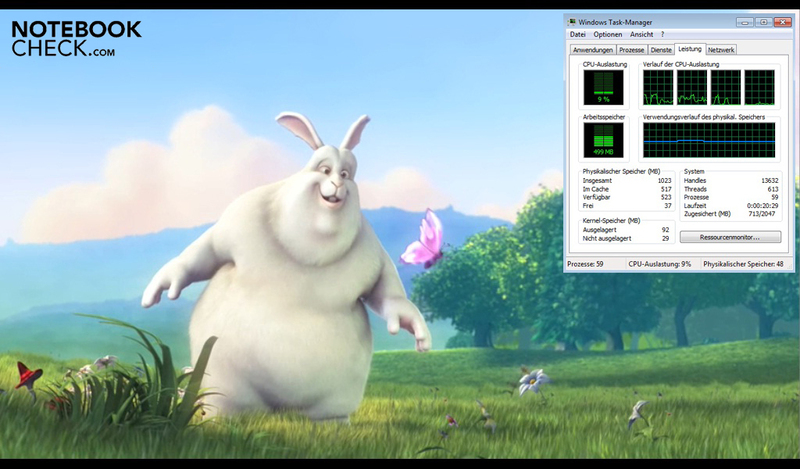 We checked local rendering with the video "Big Buck Bunny". The H.264 HD video runs consistently smooth in all three tested resolutions (480p, 720p and 1080p), whereas the CPU's maximum capacity is 20 percent. 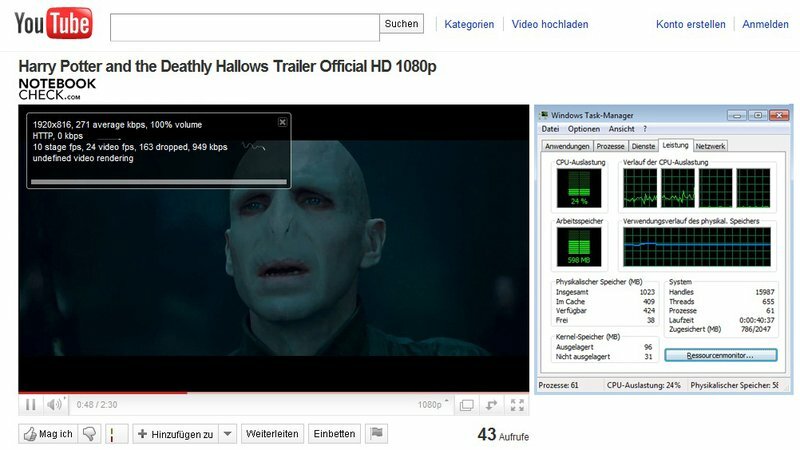 It's similar with flash HD videos via YouTube. 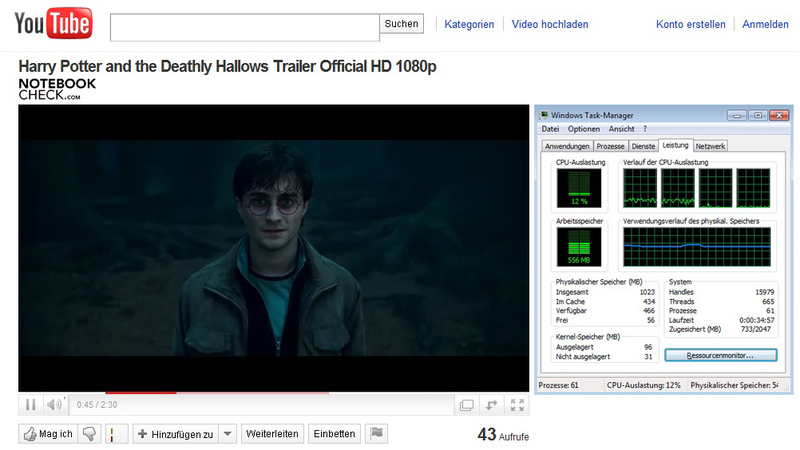 We looked at the latest movie trailer of "Harry Potter and the Deathly Hallows" for this. The hardware is hardly demanded as an SD video (CPU capacity: 12 percent). 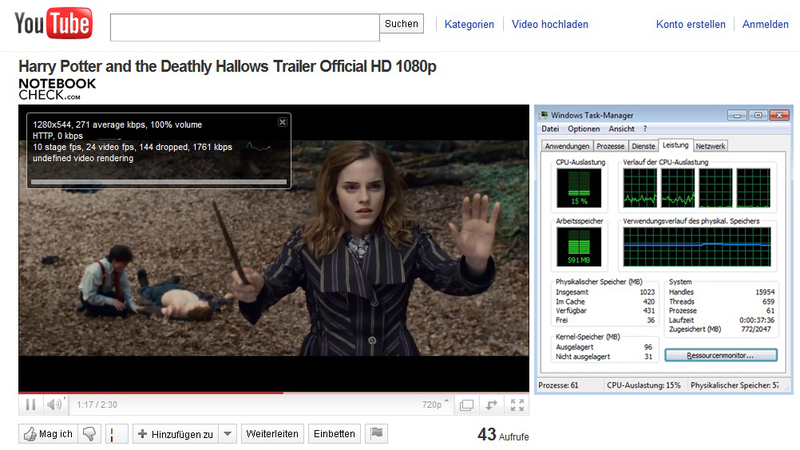 The trailer also runs smoothly in 720p (1280x544 pixels, 1761 kbps) and 1920x 816 pixels, 949 kbps). However, the frame rate of a constant 24 fps could be higher. Overall a good result, whereas an upgrade to 2 GB of RAM is recommendable because 500 to 600 MB of the available 1 GB is constantly burdened. We looked at the pure gaming performance with a few well-known games. We played both older games from 2004, as well as new games, such as StarCraft II - Wings of Liberty. The Eee PC is impressive in minimum settings in almost all games and rendering is smooth. The popular MMORPG, World of Warcraft (WoW), convinces with a full 48.6 fps and runs without problems. The comparable Asus Eee PC 1015PEM with an Intel GMA 3150 only provides 5 fps in the same setting and a smooth game play isn't possible. Gaming is usually smooth in medium details, but single frame hang-ups and longer booting times can't be avoided. The 1015PN is worth considering for casual gamers. The low resolution and detail level won't suit everyone, though. The component's warm waste air is emitted by a small fan to the outside. The soundscape is slightly higher because of the strong hardware. Nevertheless, it is still within limits for a netbook. 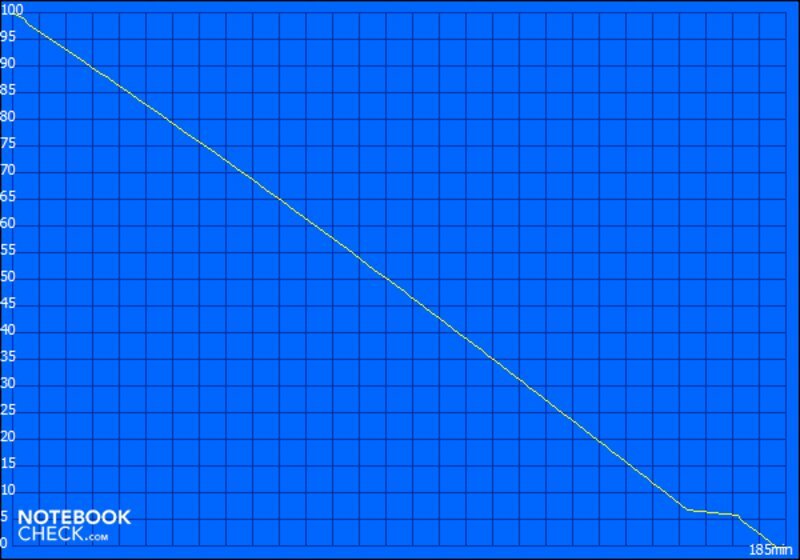 The rates are within an acceptable range in the ideal mode. A maximum of 32.8 dB(A) develops under low load, aside from a silent operation (inactive fan). We could determine a maximum of 38.7 dB(A) under load and the netbook is very audible. You have to make a compromise between performance and ergonomics in this application field. The installed 2.5 inch drive works inconspicuously with 33.2 dB(A) underneath the wrist-rest. The temperature development is an an important aspect for mobile devices. 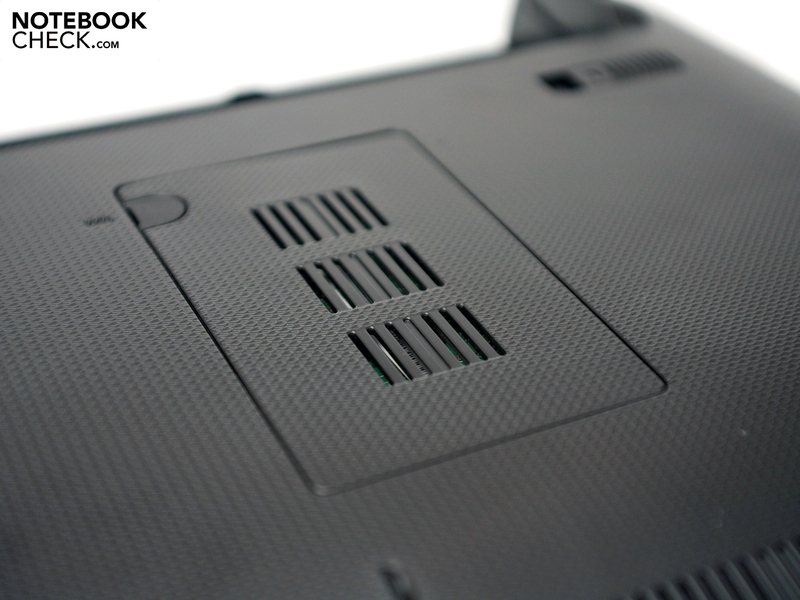 The Eee PC 1015PN's cooling works well, but there are a few outliers. We measured 34.2 degrees Celsius on the bottom during normal usage. A temperture increase is either not at all or only slightly perceptable. Thus, the ergonomics aren't impaired. The waste heat climbs considerably under load and a maximum rate of 41.2 degrees Celsius is reached. The ergonomics are impaired by this temperature in the long run. However, this characteristic isn't a problem if the device is mainly used on the desk. The constantly cool wrist-rest is a bonus point. The loudspeakers haven't been modified and thus two stereo loudspeakers are still used. The speakers supply very dominant high pitches and the deep pitches, alike the basses, don't exist. The use of external loudspeakers is recommendable for a better audio playback. 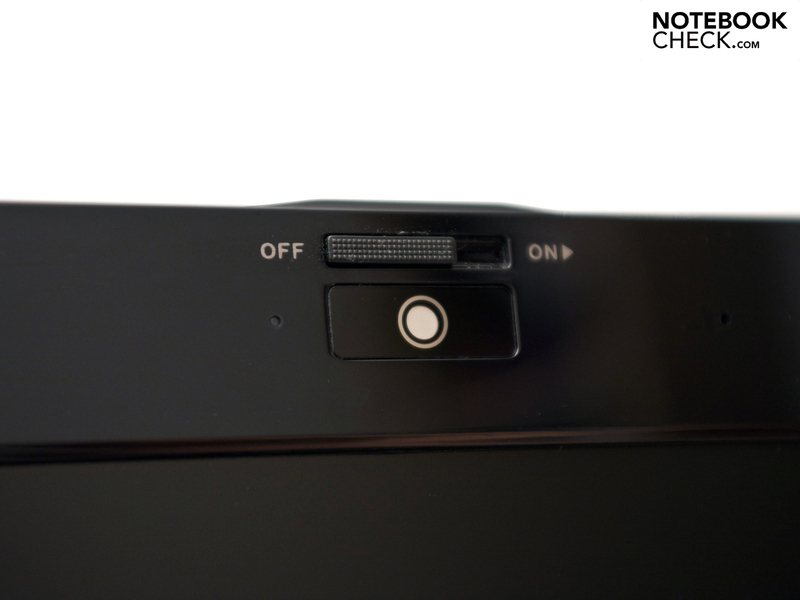 The 1015PN has a 3.5mm stereo jack and the HDMI out for this purpose. The HDMI only works in combination with the stronger Nvidia graphics unit, though. The installed component's high performance increase has a negative effect on the power consumption and battery life. In addition to the latest Intel Atom N550 dual core processor, which has a power dissipation (TDP) of 8.5 watts, there is the dedicated Nvidia graphics. Our test configuration consumes between 12.2 and 16.6 watts in the idle mode. The consumption increases obviously under load and is on par with a subnotebook that has a 12.1 inch display and similar hardware with a maximum of 27.2 watts. A fitting example would be the latest Asus Lamborghini VX6 Eee PC (netbook). The 1015PN is delivered with a 6 cell battery, with either a capacity of 4400 or 5200 mAH depending on the model, for good battery runtimes. 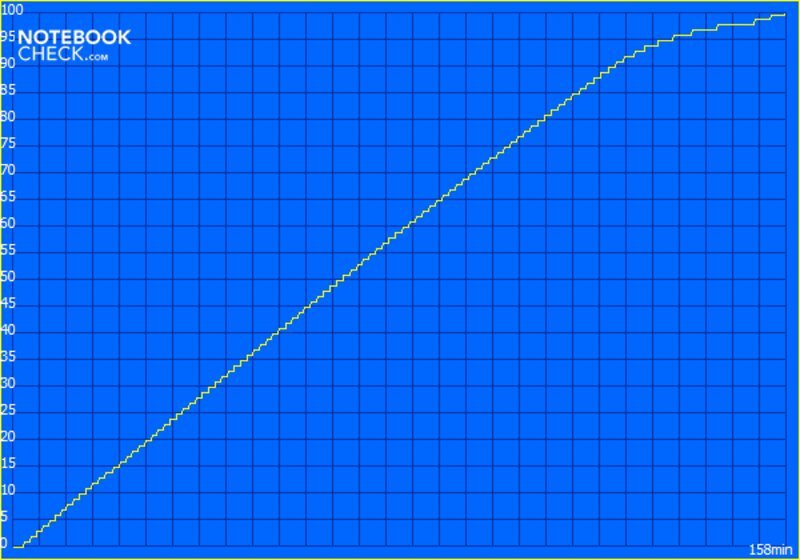 The maximum load can be simulated by the "Classic" test from BatteryEater with the Nvidia ION 2 graphics enabled. 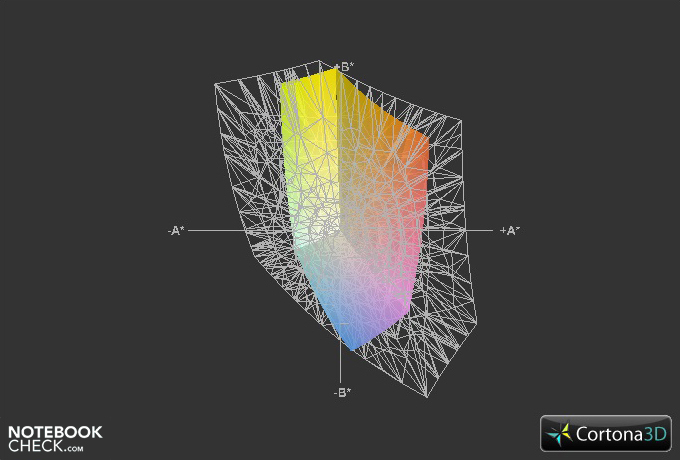 An intensive Open GL calculation with maximum display brightness and enabled mobile technologies is executed for this. 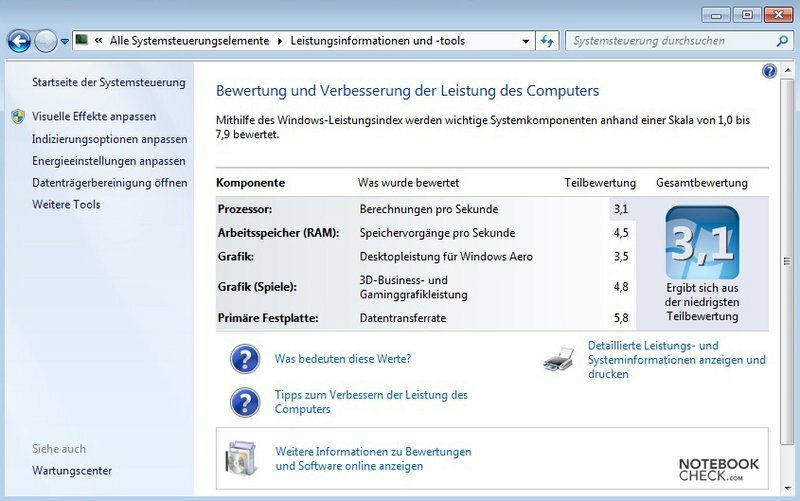 Additionally, the maximum performance is demanded by Windows 7's high performance profile and "Super Performance Mode". The battery's capacity is completely drained after an acceptable 3 hours and 5 minutes and the mains are needed. If you want to surf on the internet, watch flash videos or check emails with a good brightness, you have enough time with 6 hours and 38 minutes. 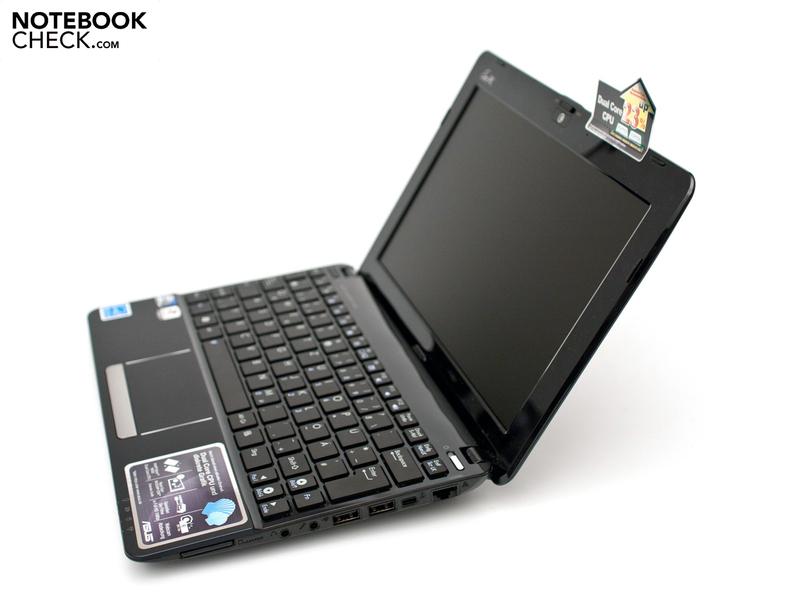 The Asus Eee PC 1015PN can keep up with energy saving netbooks due to the graphics switching. The loss, in comparison to the Asus Eee PC 1015PEM, is about 40 minutes and thus acceptable. A drawback of the lower priced 1015PN is the manual graphics switching since you have to decide for one graphics. The flexible (automatic) graphics switching, Nvidia Optimus, can support the energy saving mode, whereby the option of a higher processing performance is available at all times. 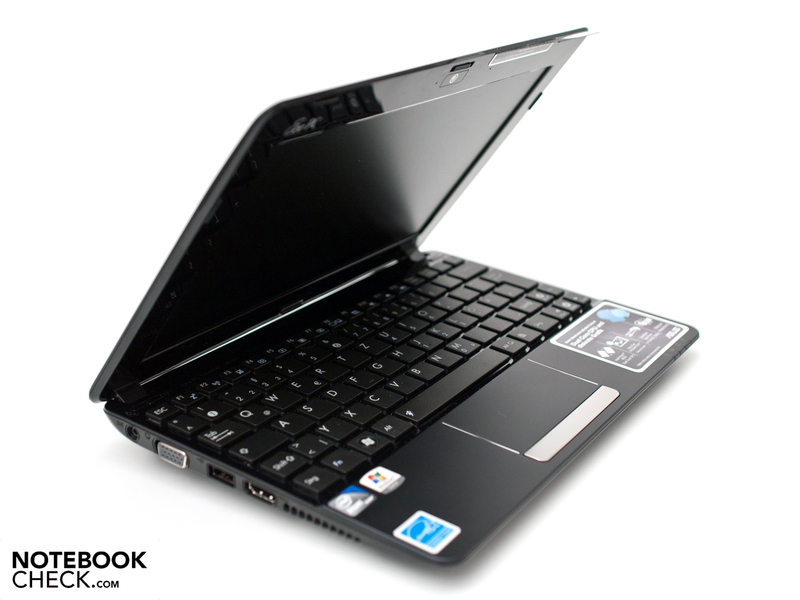 The Asus Eee PC 1015PN is impressive in many areas that many netbook users have missed. Among others, the smooth HD reproduction, a certain amount of gaming ability and a good, matt 10.1 inch display. The input devices and the case still receive a positive grade, although the color variety has been cut back. The combination of the new Intel Atom N550 with the dedicated Nvidia ION 2 graphics unit, and the option of switching to the internal processor graphics is convincing. Unfortunately, the cheaper model isn't equipped with Nvidia Optimus graphics switching. Further advantages are the installed HDMI port and the good battery life in various conditions. The device has no need to hide with a maximum of 9 hours and 20 minutes in idle mode. However, a higher power consumption and increase in emissions are noticed when the high performance graphics are enabled. The entry price of 379 euro including added value tax (RRP) is acceptable and the higher price, in comparison to the weaker Asus Eee PC 1015PEM, is well justified. The Asus Eee PC 1015PN's top model, with a 2 GB RAM, a larger 6 cell battery and Nvidia Optimus graphics switching (via Microsoft Windows 7 Home Premium) seems to be the better, or rather more pleasant solution. This alternative (449 euro; RRP; model suffix: M) and our test device are now available in retail. Our test device is delivered with the smaller 6 cell battery (47 watts). It allows the RAM to be upgraded to a maximum of 2 GBs. There is only the small maintenance cover on the bottom. The webcam supplies an adequate video quality. ... the large touchpad convinces with modern multi-touch gestures. The innards display a familiar picture after opening. You'll have to live without the newest USB 3.0 port in this device. The HDMI out is new and bares new possibilities and application fields. 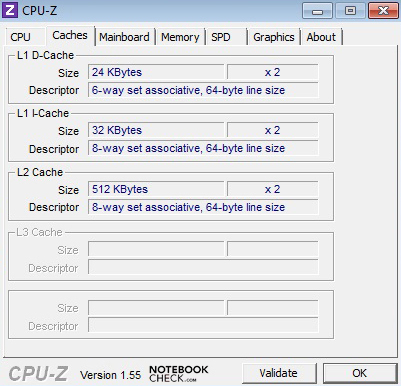 ... the incorporated processor is to have a performance increase of 23 percent. The workmanship and material quality are impressive. There are three color alternatives available: black, red and white. The case and design haven't been re-designed in this model. 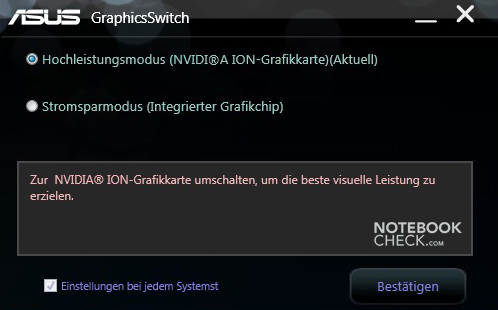 Aside Intel's new N550, there is also Nvidia's ION 2 graphics. 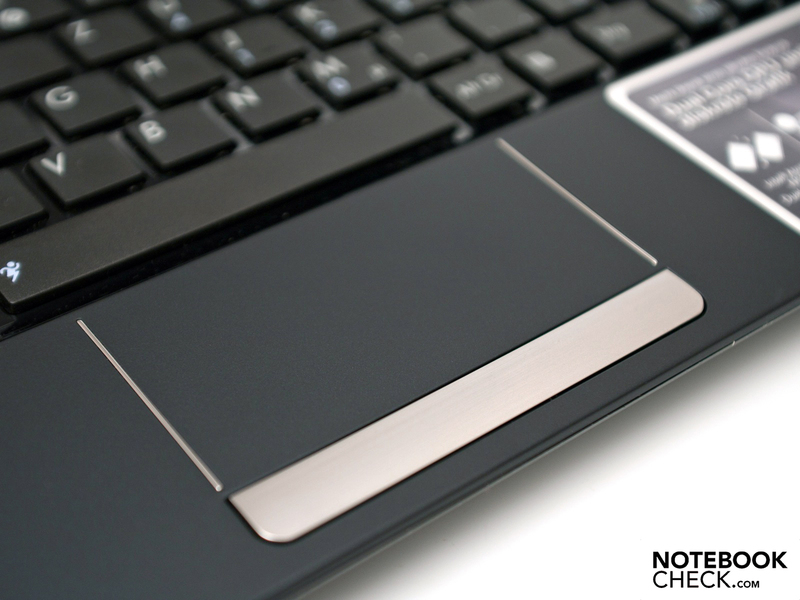 The Eee PC is currently one of the strongest netbooks on the market. The adapter hasn't changed and is very compact. The considerable performance increase for an acceptable surcharge and the long-awaited HDMI port. Nvidia Optimus graphics switching as a standard, a HD ready display that has a resolution of 1366x768 pixels and a USB 3.0. The good display rates, which supply a throughout smooth HD reproduction and the good battery life due to the (manual) graphics switching. Only few netbooks with a larger 12 inch screen and Nvidia ION 2 graphics. The new Samsung NF310 with a 10 inch display is comparable. 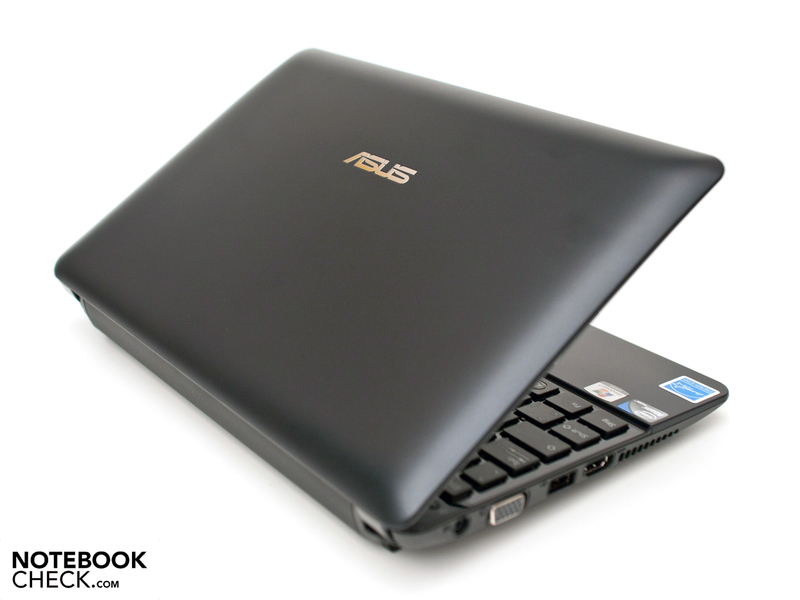 Other devices would be: the new Asus Lamborghini VX6 Netbook or the Asus Eee PC 1201N with Intel Atom D525. 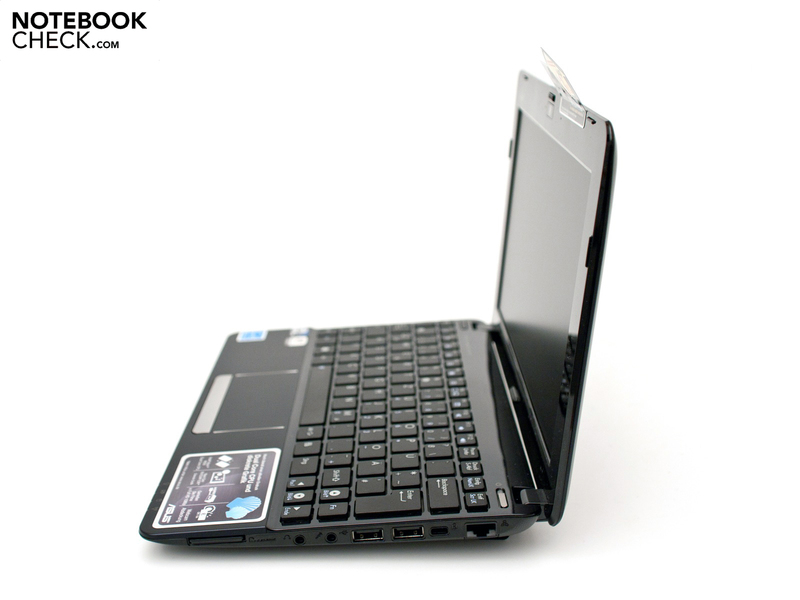 Also, even stronger devices, such as the Acer Aspire One 521 netbook or the Dell Inspiron M101z subnotebook.